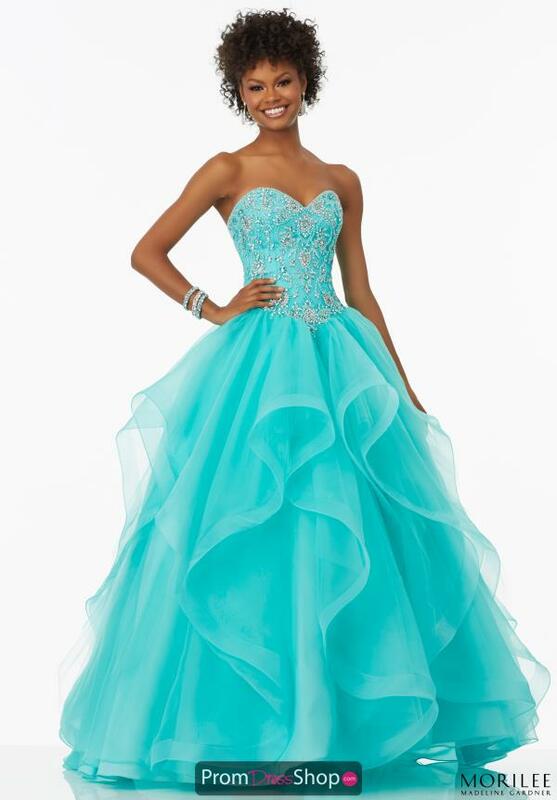 Make a lasting impression in this beautiful Morilee ball gown style 99128. Featuring a corset style bodice encrusted with high quality bead work and a corset lace back. The perfect choice for prom or sweet 16. 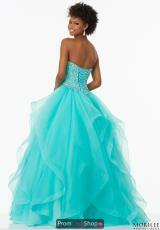 This captivating ball gown dress 99128 has and full skirt with ruffled organza layers. Pair this fairy tale look with dangle earrings and silver heels.